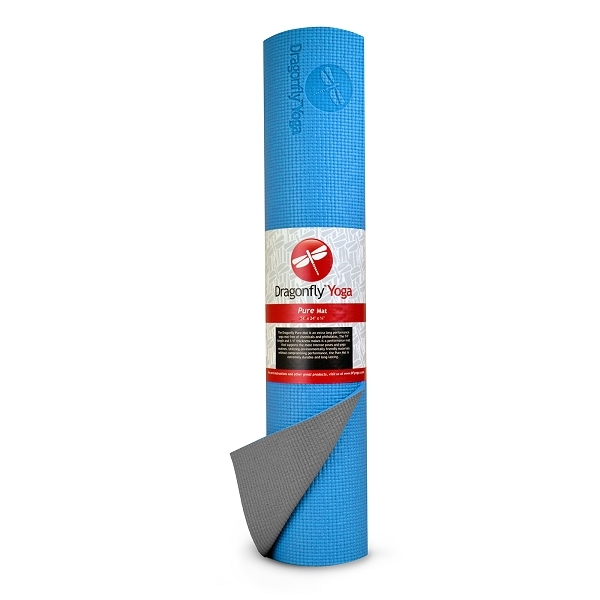 The Dragonfly Pure mat is a performance yoga mat without the addition of chemicals or the 6 most harmful phthalates. 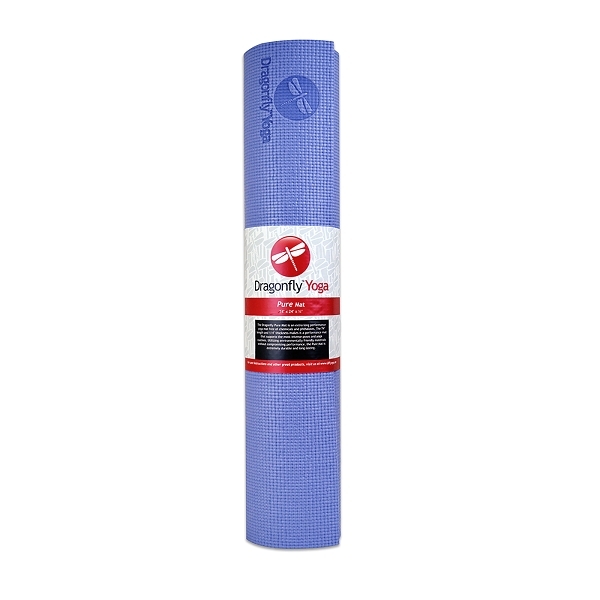 The additional length, 74", combined with the extra thickness, 1/4", provides a performance mat that will hold up to the most intense poses and yoga routines. The mat utilizes environmentally friendly materials without compromising performance. 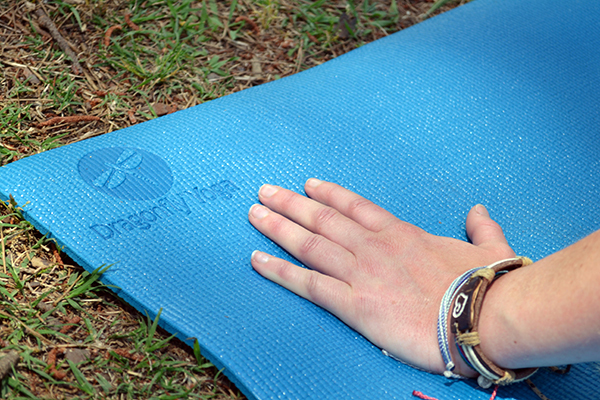 The Pure mat is extremely durable and long-lasting. For optimal performance, hand wash and use cleansing wipes between uses. 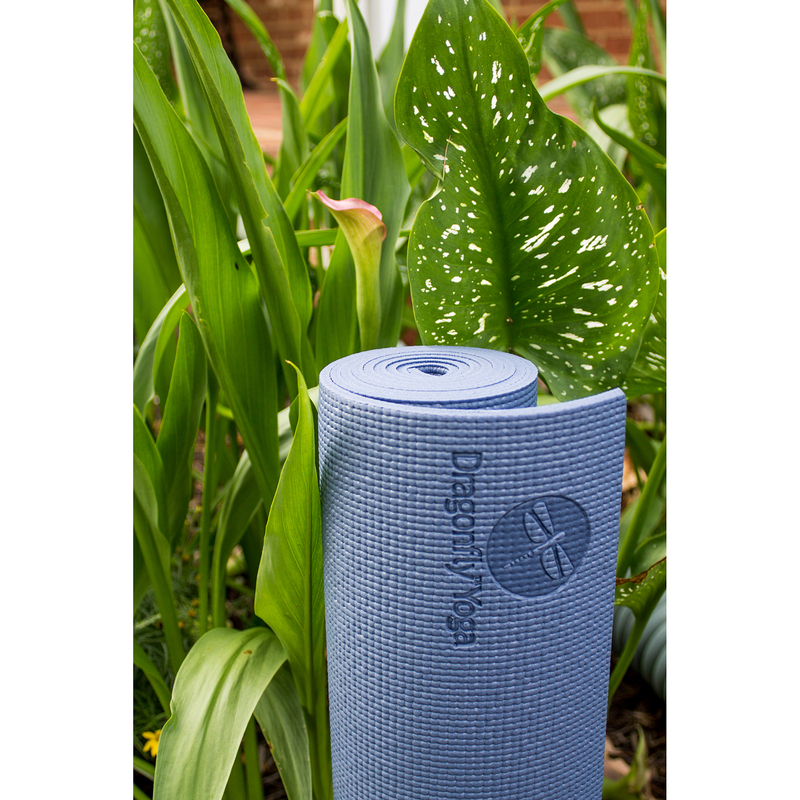 The Dragonfly Pure mat is a performance yoga mat without the addition of chemicals or phthalates. The additional length, 74", combined with the extra thickness, 1/4", provides a performance mat that will hold up to the most intense poses and yoga routines. The mat utilizes environmentally friendly materials without compromising performance. The Pure mat is extremely durable and long-lasting. For optimal performance, hand wash and use cleansing wipes between uses. Feels great. No weird smell. Durable. And I love that it's more eco friendly. Love this yoga mat. No chemicals for me! The embossed logo is a great touch and the periwinkle is beautiful!